A PS1, a PS2, and a Gamecube, along with several games and two Dreamcast Controllers (been needing these), for $10. After about 30 or so minutes of cleaning and doing minor repair work (the memory card slot was bad; I had an extra one), the PS2 is good to go, and I'm about to sell it. The rest of the consoles are mostly junk but still good for parts. The games, well, they require cleaning and buffing, but I've heard that Powerstone is awesome. Is that right? I also can't believe that the lady gave me the complete King's Quest Collection and an old fighter jet sim that's going for a small penny at the moment. FFXIII for PS3. I never bought the 360 version despite owning one, because I wanted to play the superior version. I also hesitated so long because as silly as it sounds, all the versions I kept seeing in stores were red label and value labels piss me off! Got lucky and found a copy at Microcenter for $20, hopefully it's good. I just realized Atelier Escha&Logy is coming out tomorrow in the states, and it has Japanese voice acting support and a disc version, so I ordered it on amazon. I skipped Atelier Ayesha because Koei decided to go digital only with no Japanese option. Yeah, I really wanted the game, too, but I wasn't going to support Koei for such a shoddy localization. If we ever get Ayesha Plus with dual language (or Japanese voices only), I'll pick it up. Just bought this on a deal brand new. Dead Space (PC) off steam. ^ I was going to say, you could have waited til the Summer Sales on Steam because both Dead Space 1 and 2 have been going for $5 in a bundle. I got mine during the Halloween sale a few years back, though, but the sale was pretty much the same. The case is so beautiful. Now, HK, make the official thread so I don't litter the Daily VG thoughts thread with my many many angry, hateful post. I still need to buy both Demon's Souls and Dark Souls, just taking care of buying older games first. 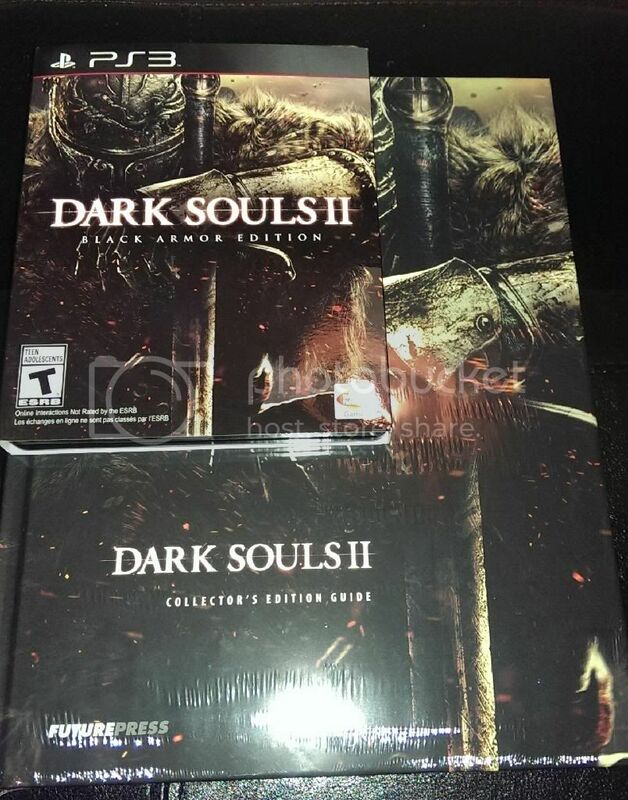 Dark Souls 2 (PS3) It's awesome!